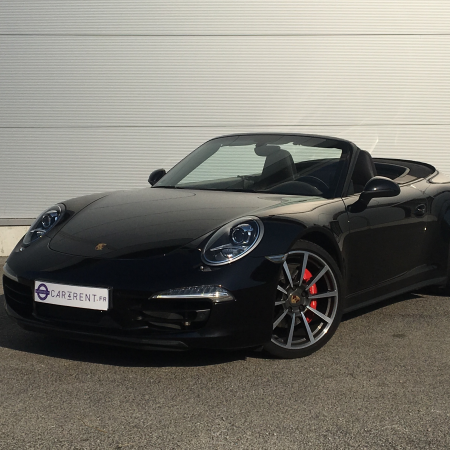 The Porsche 911 (991) Targa is a halfway house between Coupé and convertible models. An elaborate process involves the giant rear screen lifting completely off the car. As such, the top section of its roof can be folded away. Alternatively, leave it in place and the car is a secure as a Coupe. 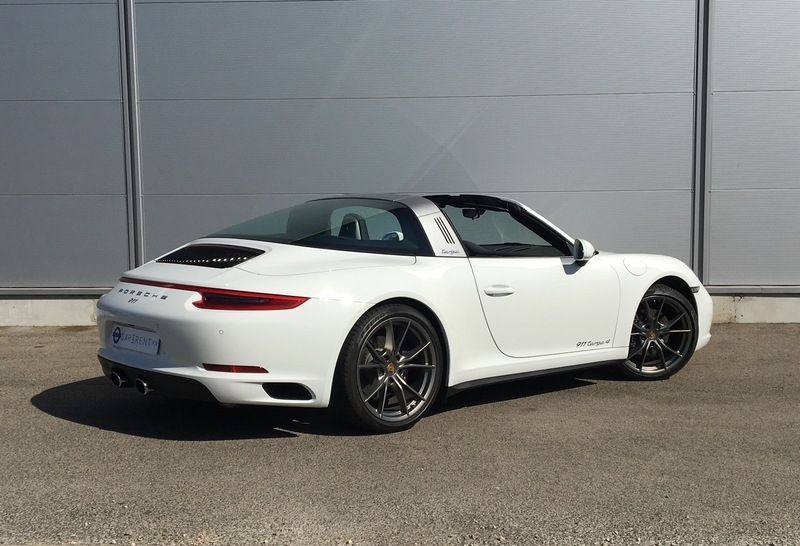 While most rivals are strict two seaters, the 911 Targa is 2+2. The small rear seats can accommodate kids, or bags and coats the rest of the time. 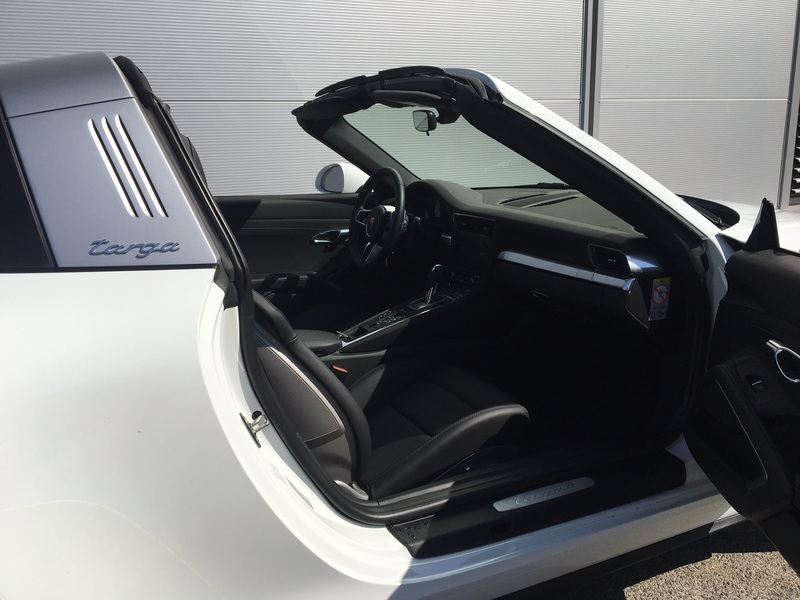 The Targa is easy to drive,smoothly at low speeds. The 911 used to have a tricky handling. Visibility is generally excellent for a sports car. 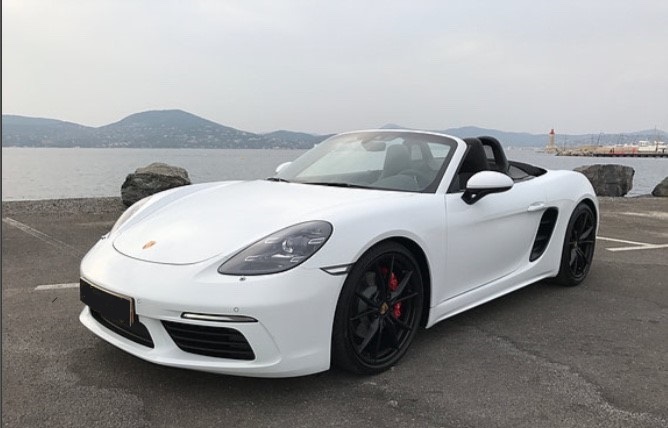 Car4rent Cannes offers the mythical model both for rent and for a test drive. 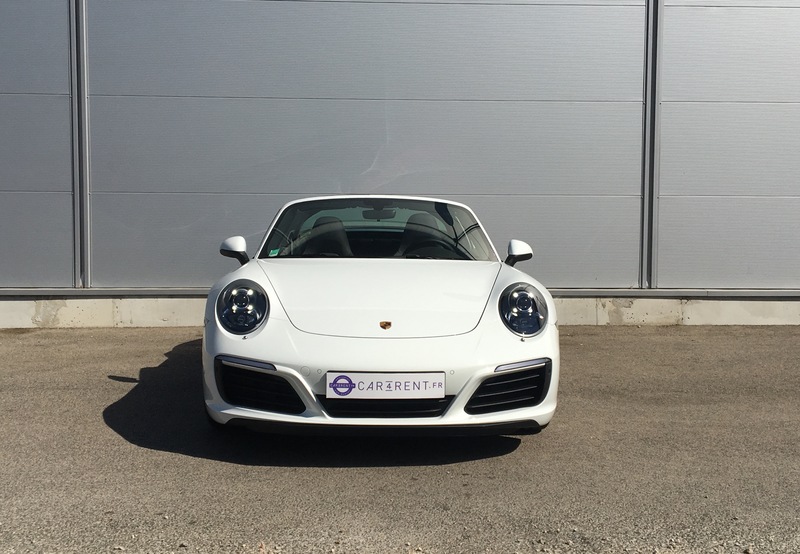 All 911 Targas are equipped with four-wheel drive to give them all-weather ability. The turbocharged flat 6 engine delivers 370hp. 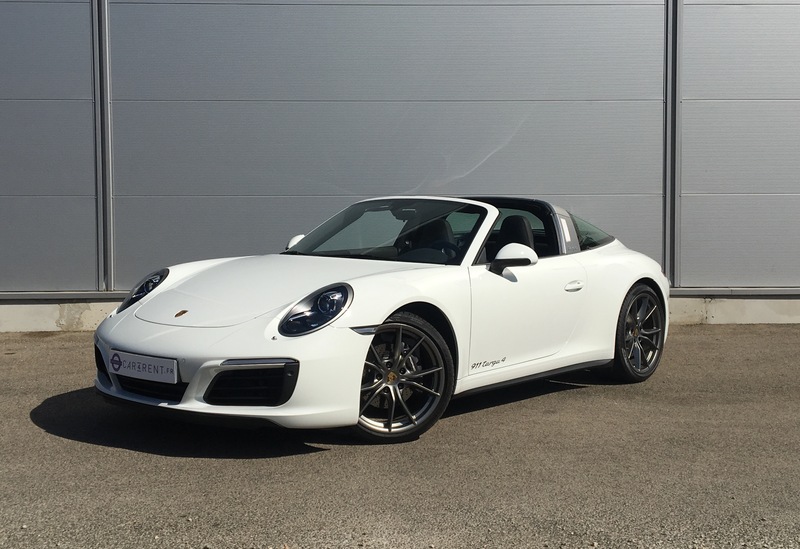 The Targa makes you feel an undiscovered talent, because its steering is so precise you can place the car exactly where you want it. Now with all wheel-drive transmission Porsche has cured the problem of back overtaking the front if you made a mistake. 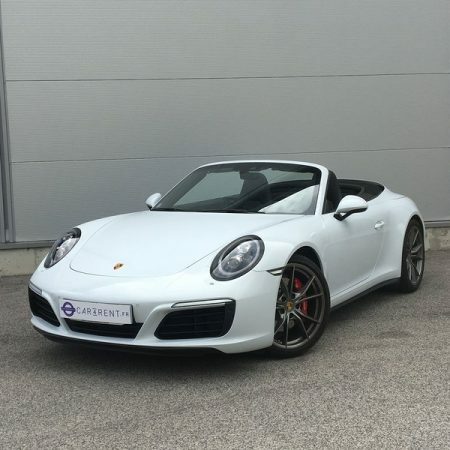 The car also responds quickly and grips tenaciously in corners, while the engine sounds good.With his 370hp power, the targa can hit 0 to 100km/h in 4.7 sec. 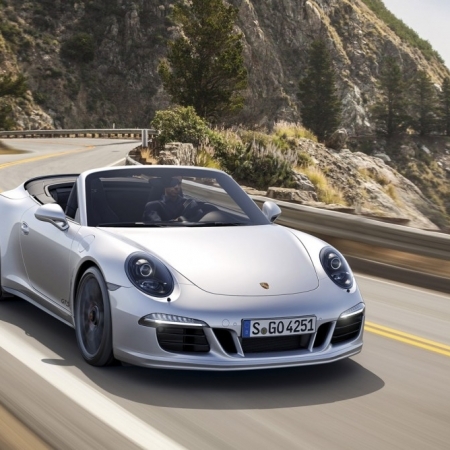 Few sports cars come with more safety. 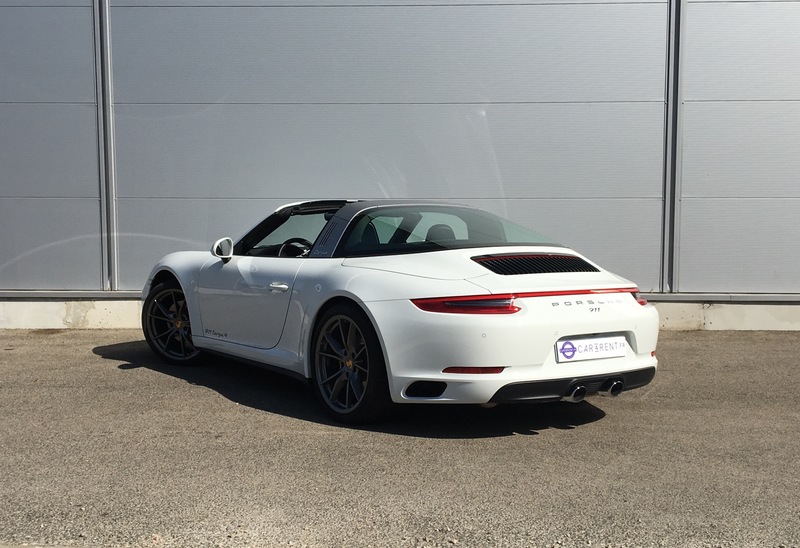 Louez avec Car4Rent une voiture Porsche 991 Targa 4 à Cannes, Nice, St-Tropez et Monaco.